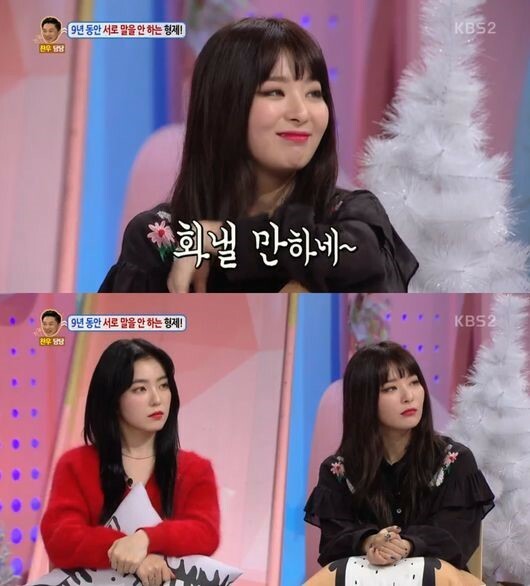 Article: 'Hello' Irene, "When Red Velvet fought? I forced everyone into a talk time"
1. [+1,965, -47] It's better to talk fights out rather than never fight at all. It's unrealistic to expect them to never get into any fights at all when they're together all day long. I get into fights with my own friends when we're stuck together in a few days of vacation. 4. [+461, -131] The mother of the group!!! 5. [+180, -19] She's an amazing leader. She managed to lead the team through three comebacks in a year. 8. [+113, -13] It's not only Red Velvet but most groups where leadership plays a role in team harmony. Sure some members are just that nice and work well with others but it's still hard to work with everyone without feelings getting hurt.